Manufacturers and builders used asbestos in construction due to its desirable physical properties such as fire and heat resistance, sound absorption, tensile strength, electrical and chemical resistance, and affordability. These properties resulted in being a very widely used material. Following increased awareness over the years that asbestos causes serious and fatal illnesses including malignant lung cancer, mesothelioma, and asbestosis, asbestos was finally banned for use in the UK in 1999. Historically the widespread use, poor waste management and poor demolition practice has resulted in asbestos containing material (ACM) being present in the soil or made ground at many brownfield (and some greenfield) sites. ACM’s may have been buried intact, broken up and mixed with other demolition wastes, and also potentially imported to site as a contaminant in a recycled aggregate or made ground fill material. Most demolition materials and many made ground materials will contain at least trace elements of asbestos. VertaseFLI has undertaken numerous remediation projects involving the investigation, assessment and design for the control, management and/or remediation of soil containing asbestos. Applicable legislation and industry best practice continues to evolve to match the increased awareness and risks associated with asbestos in soils. This is becoming increasingly apparent in the controls and requirements at site investigation and site risk assessment as well as during actual works on site. Legislation governing works with asbestos is far less subjective than that for normal soil and groundwater contamination. The Control of Asbestos Regulations 2012 identifies clear and unambiguous responsibilities on all parties including land holders and clients (Duty holders) i.e. you cannot delegate your responsibility to a consultant or contractor. Relevant regulations and guidance from authoritative organisations include The Control of Asbestos Regulations 2012 (CAR), the HSE Managing and Working with Asbestos Control of Asbestos Regulations 2012 Approved Code of Practice (ACOP) L143 2013, HSG 248 Asbestos: The analyst guide for sampling, analysis and clearance procedures. The Hazardous Waste Regulations 2007, The Health and Safely at Work Act 1974 and the CIRIA publication Asbestos in Soil and Made Ground: a Guide to Understanding and Managing Risks. 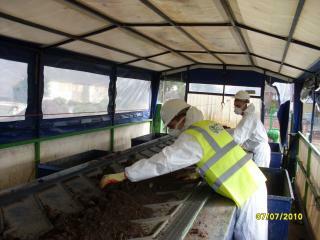 We are also supporting the JIWG which is looking specifically into the management of asbestos in soils. We can initially provide liaison with the regulators, full site reconnaissance surveys which include extensive trial pitting and analytical testing to evaluate the type, extent and condition of asbestos. We can subsequently look to create a Conceptual Site Modal, Risk Assessment, Exposure Assessments and Plans of Work (POW) all of which are necessary to adequately plan works involving asbestos in accordance with the Control of Asbestos Regulations (CAR) 2012. Several factors influence the methodology of asbestos remediation. These include but are not limited to: the media in which the asbestos is present, the form of asbestos - either asbestos containing materials (ACM’s) or friable Asbestos fibres, concentrations and the types of asbestos (Crocidolite, Chrysotile or Amosite). Other factors may include proximity of works to the public, other contractors and site/environment conditions. Full training - using staff that are adequately trained in Non-Licensed work. Use of appropriate PPE and RPE such as Category 3 Type 5 coveralls and FFP3 respirators. Record keeping ensuring staff receive medicals at least every 3 years (from April 2015). Using various dampening down techniques to control moisture and prevent fibre release. Utilising full decontamination facilities for staff. Installation of appropriately marked and segregated work areas and transit routes for both pedestrians and site traffic. Designated areas and ongoing various environmental monitoring activities including fugitive dust monitoring and collection and analysis of samples, reassusance monitoring and working area leak tests. 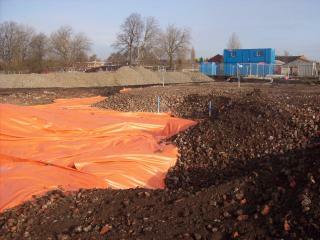 We also have a clearance procedure for use with soil contamination to provide reassurance that the area is suitable for use.